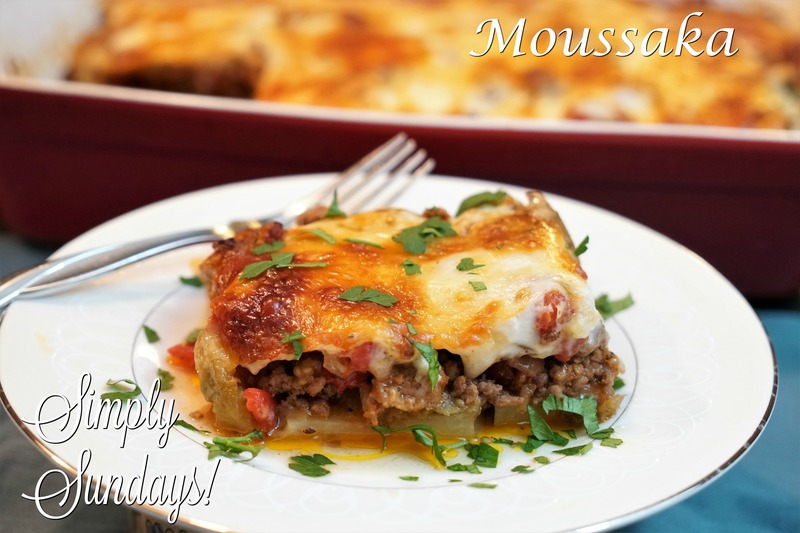 Sounds like Moussaka to me! But the only meat I had in the freezer was hot Italian sausage. Cooking is all about improvisation, right? Last step is to make the creamy bechamel sauce. I can eat this by the spoonful. Not good for the waistline, but oh, man, there’s nothing like a creamy bechamel! Let the casserole set for about 10 minutes before cutting and serve up this warming, cheesy, meaty dish that would certainly receive a nod from our Mediterranean friends!